­ SPRINGFIELD – State Senator Martin A. Sandoval (D-Chicago) is cosponsoring legislation to declare April 2, 2019 as Pay Equity Day in Illinois to raise awareness about pay inequity for women. American women have long faced discrimination in the workplace, particularly in terms of compensation. Nationally, women continue to earn no more than 80 cents on the dollar compared to men. In Illinois, women currently earn only 78 cents on the dollar compared to men. Equal Pay Day was first created by the National Committee on pay Equity in 1996 to draw attention to the gap between men’s and women’s wages. The day is observed in April to symbolize how far into the year a woman must work, on average, to earn as much as a man earned the previous year. Equal Pay Day always falls on a Tuesday to represent the day of the week on which women’s wages catch up to men’s wages from the previous week. 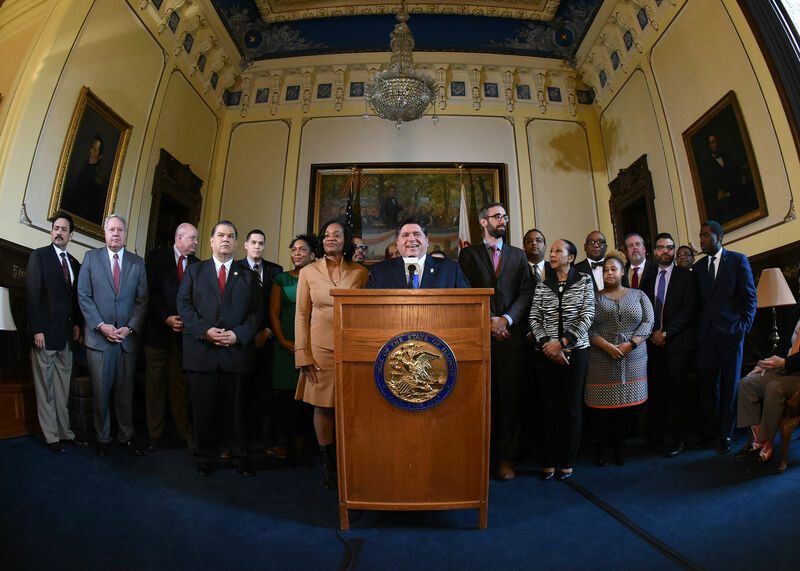 SPRINGFIELD – Legislation Co-Sponsored by State Senator Martin A. Sandoval (D-Chicago) to increase the state’s minimum wage to $15 an hour passed the Illinois House of Representatives, marking a major win in the fight to ensure Illinois workers are guaranteed a fair wage. Senate Bill 1 would gradually increase the minimum wage in Illinois to $15 an hour by 2025. The step-by-step rollout of the increase is designed to allow businesses to adjust to the law and adapt accordingly. The first increase will take effect on Jan. 1, 2020 and set the minimum wage at $9.25. Illinois’ minimum wage has been $8.25 an hour since 2010. Senate Bill 1 now awaits the governor’s signature.